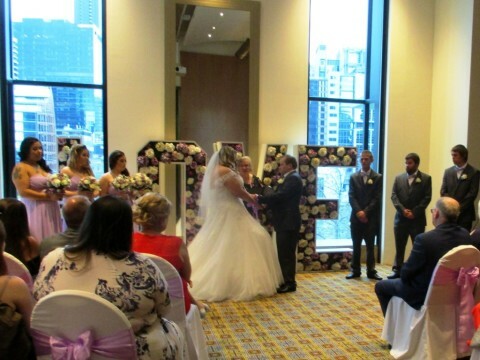 Below is a collection of short posts about the Melbourne wedding ceremonies that I have performed. I love this job, and I love reading these posts again from time to time for the memories. 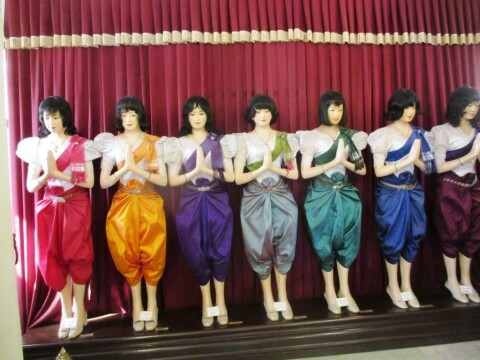 Please contact me here with any enquiries or questions – enjoy! I love this moment. 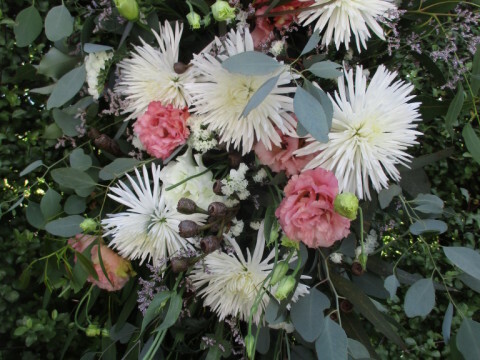 After all the preparation, the waiting, the entrance music, the arrival of the flower girl and page boy, then the bridesmaid, there is a wonderful build up of anticipation …. and the bride makes her appearance! Cheers rang out as Lisa and Meghan celebrated their partnership of nineteen years with a joyous wedding on the banks of the Yarra river. Standing in bare feet to be connected to the land that is special to them, they acknowledged the trees, the water and the original inhabitants of this place. This beautiful dream catcher framed Marcella and Victor’s wedding and captured all the wishes for their happiness that flew around them. 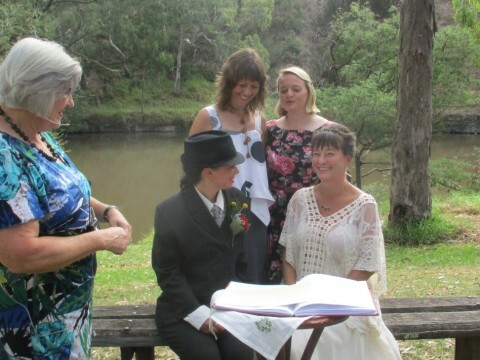 Amidst the smiles of close friends and family from all parts of the world, they exchanged their marriage vows while standing beneath the spreading old oak tree in the grounds of Heide. 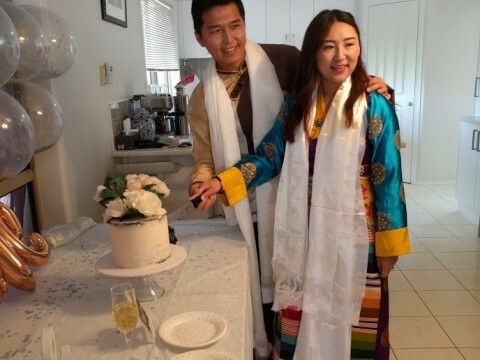 The lovely couple, Lhamo and Tenzin, brought a little of their Tibetan homeland to their marriage ceremony when they shared a piece of wedding cake. 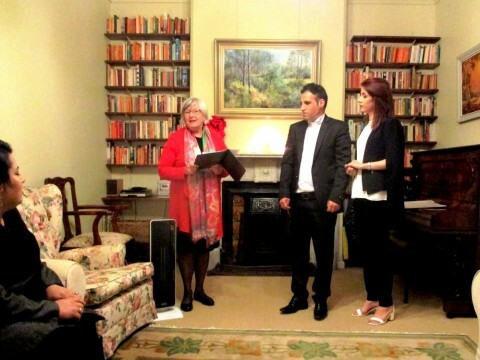 When the bride has come all the way to Australia from Iran, to be married to her true love, also from Iran, what better lines to quote than those of the Persian poet, Rumi: “May these vows and this marriage be blessed”? Adam is the beat of Melissa’s heart – and the time felt right to get married. 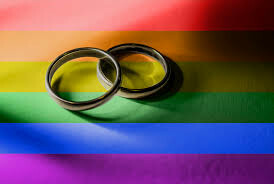 Framed by the city skyline and a background of flowers spelling the word Love, the happy bride and groom literally tied the knot in a hand fasting wedding ritual before exchanging vows in front of their family and friends. 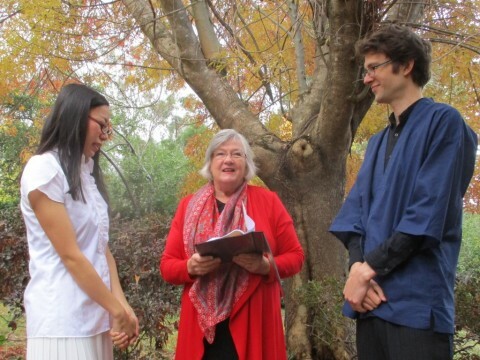 Framed by autumn leaves in the garden of his family home, Jesse joyfully exchanged wedding vows with his beautiful Japanese bride, Kana. 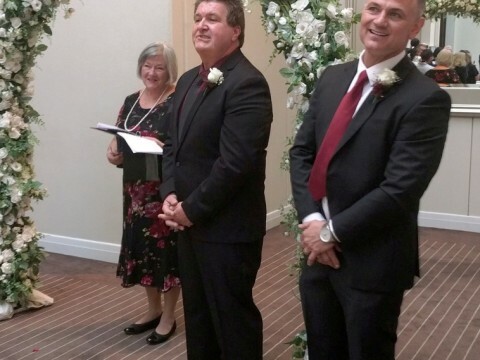 They look forward to a marriage filled with laughter, trust and love. 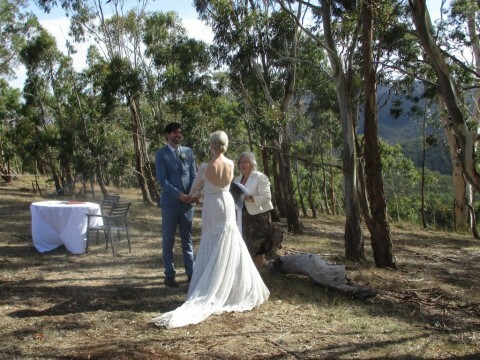 Gum trees and blue hills of this Bullengarook property made a stunning setting for a wedding. Guests basked in the late afternoon sun as they watched the elegant bride and handsome groom “tie the knot” and exchange the vows that they had written for each other. 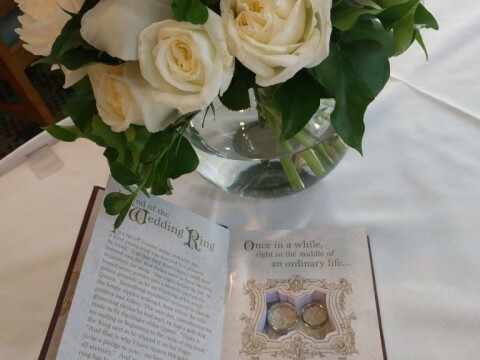 Their little dog, Yoshi, brought them their wedding rings. 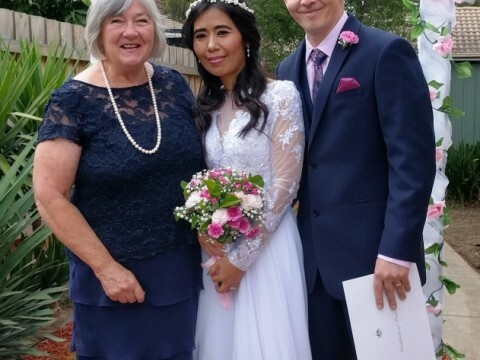 Flowers formed a cascade above the bride and groom as they celebrated their marriage and their young family in a sunny garden wedding on Saturday. 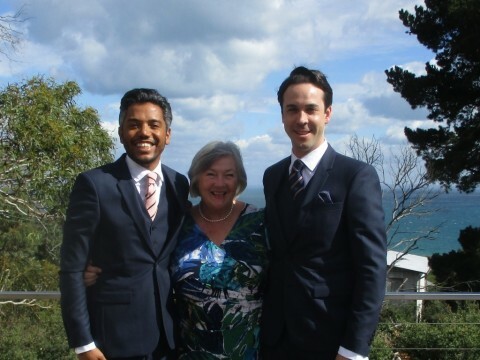 It was particularly nice for me to be part of their life journey as I had celebrated a Naming Day for their first little boy over three years ago. 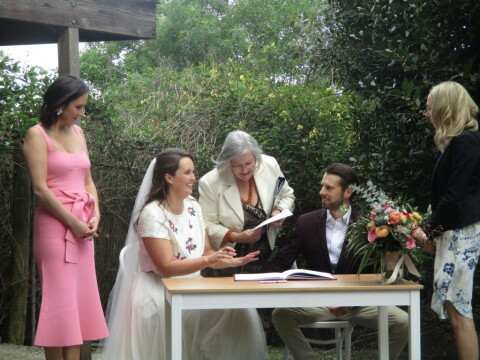 The chuppah provided welcome shade and a gentle breeze stirred the water on the lake at the Royal Botanic Gardens for a beautiful wedding last Saturday.